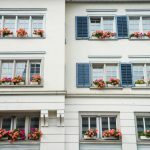 If you rent a home in Switzerland it is more likely to belong to an individual than a big real estate company or pension fund. 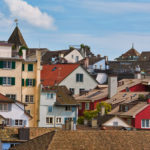 In 2017, 49% of residential rental properties in Switzerland were owned by individuals, according to Statistics published by the Swiss Federal Statistical Office. The highest rate of rental home ownership by individuals was in the Italian-speaking canton of Ticino (71%). The lowest rate was in the Lake Geneva region (41%). The Mittelland region (56%), central region (52%), eastern region (50%), north-west region (48%), which contains Basel, and Zurich (45%) all had rates between these two extremes. Large rental homes (57%) were more likely to be owned by individuals than small ones (49%) – large was defined as 5 to 6 rooms. Small as 1 to 2 rooms. 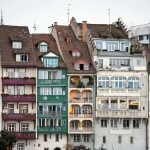 The remaining 51% of rental properties in Switzerland were owned by municipalities, cantons or federal government (4%), cooperatives (7%), property developers (7%) and real estate investors (33%). 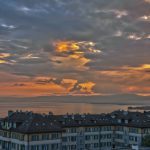 The biggest difference between Ticino, with the highest rate, and Lake Geneva, with the lowest rate, was the percentage owned by real estate investors. In the Lake Geneva region the rate was 43% compared to only 17% in Ticino.